Microsoft Azure BizTalk Services (MABS) is retiring. To move your MABS integration solutions to Azure Logic Apps, follow the guidance in this article. Azure App Service Hybrid Connections replaces BizTalk Services Hybrid Connections. Azure Hybrid Connections is available with Azure App Service through the Azure portal. This service provides a Hybrid Connection Manager so that you can manage existing BizTalk Services hybrid connections and also new hybrid connections that you create in the portal. Logic Apps replaces EAI and EDI bridge-based integration with all the same capabilities in BizTalk Services and more. This service provides cloud-scale consumption-based workflow and orchestration features for you to quickly and easily build complex integration solutions through a browser or with Visual Studio. This table maps BizTalk Services capabilities to Logic Apps. BizTalk Services has several kinds of artifacts. 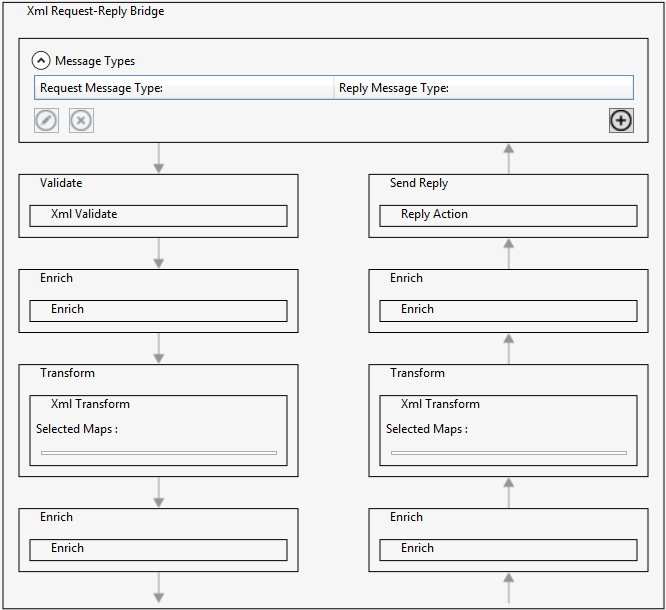 BizTalk Services connectors help bridges send and receive data, including two-way bridges that enable HTTP-based request/response interactions. Logic Apps uses the same terminology and has 180+ connectors that serve the same purpose by connecting to a wide range of technologies and services. For example, connectors are available for cloud SaaS and PaaS services, such as OneDrive, Office365, Dynamics CRM, and more, plus on-premises systems through the On-Premises Data Gateway, which replaces the BizTalk Adapter Service for BizTalk Services. Sources in BizTalk Services are limited to FTP, SFTP, and Service Bus Queue or Topic subscription. By default, each bridge has an HTTP endpoint, which is configured with the Runtime Address and the Relative Address properties for the bridge. To achieve the same results with Logic Apps, use the Request and Response actions. Also, an XML One-Way bridge adds Decode and Encode stages at the start and end of processing. The Pass-Through bridge contains a single Enrich stage. In BizTalk Services, you can receive different types of XML messages, and determine the matching schema for the message received. This work is performed in the Message Types stage of the receive processing pipeline. The Decode stage then uses the detected message type to decode the message using the provided schema. If the schema is a flat file schema, this stage converts the incoming flat file to XML. Logic Apps provides similar capabilities. You receive a flat file over different protocols using the different connector triggers (File System, FTP, HTTP, and so on), and use the Flat File Decode action to convert the incoming data to XML. You can move your existing flat file schemas directly to Logic Apps without any changes, and then upload schemas to your Integration Account. After the incoming data is converted to XML (or if XML was the message format received), validation runs to determine if the message adheres to your XSD schema. To perform this task in Logic Apps, use the XML Validation action. You can use the same schemas from BizTalk Services without any changes. In BizTalk Services, the Transform stage converts one XML-based message format to another. This work is done by applying a map, using the TRFM-based mapper. In Logic Apps, the process is similar. The Transform action executes a map from your Integration Account. The main difference is that maps in Logic Apps are in XSLT format. XSLT includes the ability to reuse existing XSLT you already have, including maps created for BizTalk Server that contain functoids. 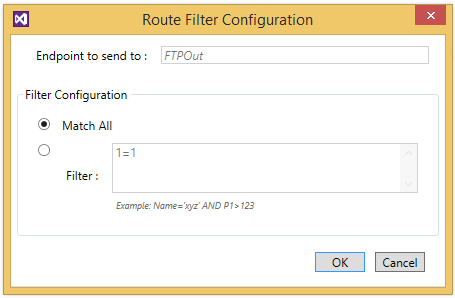 In BizTalk Services, if there are only two options, using a condition is the best way for converting routing filters in BizTalk Services. If there are more than two, then use a switch. Logic Apps provides sophisticated logic capabilities plus advanced control flow and routing with conditional statements and switch statements. In BizTalk Services processing, the Enrich stage adds properties to the message context associated with the data received. For example, promoting a property to use for routing from a database lookup, or by extracting a value using an XPath expression. Logic Apps provides access to all contextual data outputs from preceding actions, making it straightforward to replicate the same behavior. For example, using the Get Row SQL connection action, you return data from a SQL Server database, and use the data in a Decision action for routing. Likewise, properties on incoming Service Bus queued messages by a trigger are addressable, as well as XPath using the xpath workflow definition language expression. BizTalk Services lets you run custom code that is uploaded in your own assemblies. This functionality is implemented by the IMessageInspector interface. Each stage in the bridge includes two properties (On Enter Inspector, and On Exit Inspector) that provide the .NET type you created that implements this interface. Custom code lets you perform more complex processing on data and lets you reuse existing code in assemblies that perform common business logic. Logic Apps provides two primary ways to execute custom code: Azure Functions, and API Apps. Azure Functions can be created, and called from logic apps. See Add and run custom code for logic apps through Azure Functions. Use API Apps, part of Azure App Service, to create your own triggers and actions. Learn more about creating a custom API to use with Logic Apps. If you have custom code in assemblies that you call from BizTalk Services, you can either move this code to Azure Functions, or create custom APIs with API Apps, depending on what you're implementing. For example, if you have code that wraps another service for which Logic Apps doesn't have a connector, then create an API App, and use the actions your API app provides within your logic app. If you have helper functions or libraries, then Azure Functions is likely the best fit. Unlike BizTalk Services, these actions are decoupled from the transport protocols. So when you create your logic apps, you have more flexibility in which connectors that you use to send and receive data. For example, you can receive X12 files as attachments from email, and then process these files in a logic app. In BizTalk Services, a dedicated portal provided tracking capabilities to monitor and troubleshoot issues. Logic Apps provides richer tracking and monitoring capabilities through the Azure portal, and includes a mobile app for keeping an eye on things when you're on the move. For high availability (HA) in BizTalk Services, you can share the processing load by using more than one instance in a specific region. Logic Apps provides in-region HA at no additional cost. In BizTalk Services, out-of-region disaster recovery for B2B processing requires a backup and restore process. For business continuity, Logic Apps provides cross-region active/passive DR capability, which lets you synchronize B2B data across integration accounts in different regions.